Box office success is measured by cost vs. return, expectations vs. reality, and last year's record numbers vs. a weak summer 2016. 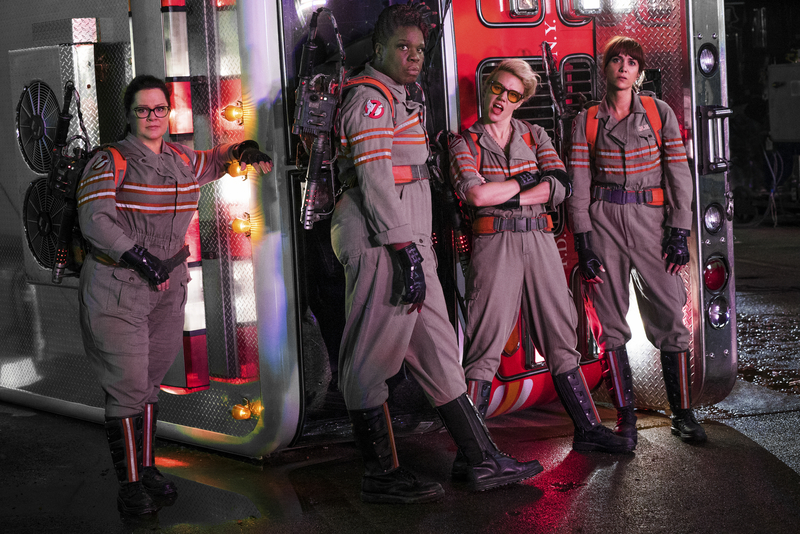 Few summer 2016 releases have grabbed more advance attention that Sony’s female “Ghostbusters” reboot. During this feast-or-famine summer, its modest initial performance is far from great, but mainly positive. For one thing, “Ghostbusters” failed to unseat top-grossing animated film “The Secret Life of Pets” as #1. The superlatives for the animated family genre continue unabated. The weekend brought few new releases, another reason grosses fell short of the same weekend last summer. But more strong openers are coming, including “Star Trek Beyond” and “Suicide Squad” is guaranteed to soar). But the ongoing uncertainty continues. With only one new studio wide release this weekend (indie “The Infiltrator” was a sub-2,000 theater release) as opposed to two or three, and with “Ghostbusters”‘s just decent numbers, this weekend’s Top Ten slid 16% ($29 million) from last year after a surprisingly strong parity last week that suggested hope for the remainder of the summer. The numbers come in below the previous four weekends, which were led by two animated behemoths (“Finding Dory” and “The Secret Life of Pets”). The key to the slide comes in part from distributors miscalculating the competitive opening for “Ghostbusters,” leaving the opening spot unchallenged. In a crowded summer schedule, apart from the strength of the cartoon hits, the bottom hasn’t fallen out worse than it has because of the volume of films in release. Even the disappointing ones have often opened to over $20 million (many were disappointments in relation to cost). So next weekend sees three studio debuts — a franchise entry (“Star Trek Beyond”), an animation sequel (“Ice Age: Collision Course) and a horror film (“Lights Out”)— with three more the following week. So like the rest of the summer, we have a glass half-full/half-entry result, with the domestic results not necessarily the core story, nor a first weekend the final say in a film’s narrative arc. “Ghostbusters” is the prototypical summer 2016 non-animated film: risky due to expense, not without interest, but a mixed bag. And once again, the central focus on whether it is a success is its budget. It’s the biggest live action comedy opening since “22 Jump Street” last summer; the biggest opening of the already successful Melissa McCarthy’s career; the best opening for director Paul Feig, whose hits include “Bridesmaids,” “The Heat” and “Spy.” And it’s the best opening weekend this summer for a film neither animated nor Marvel-based, including several films at its cost or higher. Its the third best opening among similar films all year, with only “Batman v Superman” and “The Jungle Book” beating its figures. And this comes in the face of a relentless negative anti-women buzz, marketing miscues and an early badly-received trailer. With the trajectory of the summer, this was positioned to be the latest in a series of obvious flops (“The Huntsman: Winter Warrior,” “Warcraft,” and “The BFG” among them) or seriously under-performing films (“Independence Day: Resurgence”) causing concern in the industry. The elephant in the room is its initial $144 million production cost, plus likely $100 million-plus marketing costs worldwide. Throw in that Sony is weaker in franchise depth than other studios and had hoped to spawn future films. In short, they needed this Amy Pascal-produced flick to thrive. Meanwhile Sony’s “Ghostbusters” had to deal with inflated projections for a sequel, even 32 years later. In context, this summer’s original comedy “Central Intelligence” with Kevin Hart and Dwayne Johnson is a clear success, but it opened to $11 million less. Anyone remember “Neighbors 2”? It opened only half as well. “Mike and Dave Need Wedding Dates” won’t gross its entire run what this first weekend did. And no one is calling those studios crazy for making these male-centered comedies, nor did any invoke any ripple of backlash. The problem is that no comedy franchise of late has risen to the level of “The Hangover” or “Men in Black” films. Comedy has become much more of a niche item. And worse, it is a genre less easy to make for the one-size-fits-all international market (China predictably refused to book it because of the censors’ long-held aversion to ghost stories). So throwing economy out as a factor was a risk, irrespective of who starred in it. Rebooting the movie with women, one of whom is the biggest draw among women comedians, gave the project the “let’s take the familiar but add something original formula” that has been working of late. This was a brilliant solution to the decades-long stalled remake. Try to imagine a redo with, say, Bradley Cooper, Jonah Hill and Kevin Hart, who as talented as they are, would have borne very difficult comparisons to Bill Murray, Dan Aykroyd and Harold Ramis. At least McCarthy, Kristin Wiig and Leslie Jones start off as sufficiently different to be distinctive and not replicants. So we have a respectable but not sensational opening number. Two unknown X factors will determine its success: how it holds at home, and how it plays overseas. On the first: McCarthy’s films have mostly played in the 3.5 to 4X multiple totals. At the low end (not guaranteed), that would mean $161 million at home. So far so good. But foreign is tricky. Only one of McCarthy’s films (Wiig and the others are non-factors overseas) has taken in more foreign than domestic, and most far less, even “The Heat” with movie star Sandra Bullock. On the positive side, do far its limited foreign release in three territories has yielded positive results, with the U.K. and Australia (among the likely more favorable territories) coming in at #1. Also likely in Sony’s calculations is the “Men in Black” films, which in an era when foreign wasn’t nearly so strong, did better overseas, even with African-American star Will Smith (who appeared after “Independence Day,” a world-wide smash far beyond McCarthy’s exposure). It’s hard to predict this ends up well for Sony. Certainly it isn’t breakout or reason to plan more of the same. They could so what might have made sense in the first place: reboot the movie as an animated film. That sort of original flavor for a known product might have worked better. But again, on its own terms other than budget, this is an idea that had appeal and did better than many other supposed tentpoles this season. With a reported $47 million budget, “The Lincoln Lawyer” director Brad Furman’s “The Infiltrator,” starring Bryan Cranston as an undercover DEA operative going undercover with a Colombian drug cartel, doesn’t qualify as an every day independent film, though it was financed and produced outside of studios and sold worldwide on a territory by territory basis. Broad Green, still less than a year from its initial release, is a well-heeled indie that is still trying to establish its place in the overall industry. Since their initial release “A Walk in the Woods” last Labor Day (at just under $30 million, just behind “Brooklyn” as the second-biggest Sundance 2015 premiere) the company has had only one other film gross more than $1.5 million (the limited opening, then widened “Learning to Drive” at $3.4 million). They are coming off a big flop with Nicolas Winding Refn’s “The Neon Demon” (Amazon Studios) barely scraping past $1 million despite a nearly 800-theater release. That’s probably good enough for the new guys on the block. Despite little footprint and even after the disappointment of “The Neon Demon,” their team was able to secure 1,600 appropriate top theaters in the heart of the summer, and come up with a per theater average, elevated by the smaller number of screens, second best in the Top Ten. The result puts them in range of rival Open Road, similarly acquiring general interest, mid-level budget independent films. So there is room for them in the market. 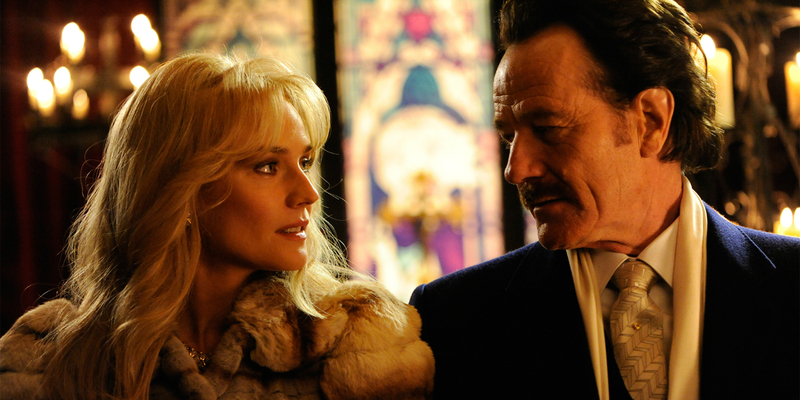 “The Infiltrator” may not make a profit for Broad Green. And its less-than-stellar gross is still no disaster for a film with a familiar cable-worthy plot and positive but hardly top-notch reviews, and a standard marketing spend. Producers should consider Broad Green a viable option going forward, which is crucial for a company living off of acquisitions. “Pets” beat out “Ghostbusters” for top spot, marking 11 weeks this year that an animated film has been #1. (2015 had five for the entire year!) The film fell 51% and not only took the top spot for a second weekend, but also fell less than the better-opening “Minions” did exactly one year ago (57%). In ten days it will pass $200 million. More proof that animation has never been hotter. And it’s not even the biggest story among animated films at the moment. “Finding Dory” has reached $445 million in its fifth weekend. In raw numbers, that’s the highest ever in the genre. It isn’t really the biggest of all time once numbers out of accuracy are adjusted, but it is by any accounting already ahead of recent smashes like “Inside Out,” “Frozen,” and all three “Despicable Me” films. It will pass the best of the “Toy Story” films in a day or two. It should either end up just behind “Finding Nemo,” adjusted as fourth-best since 1980, or edge it out and put it behind only “The Lion King” and “Shrek 2.” It’s going to end up at least $100 million ahead of “Captain America: Civil War” as the year’s best domestic performer of the year so far. Those are the facts. It doesn’t need the questionable claim as biggest animated film ever to be a huge success. Best in show again is “Central Intelligence,” off only 34% despite losing another 460 theaters. At this point it looks headed to a $135 million-plus domestic total, close to a 4X multiple. The other second week film, “Mike and Dave Need Wedding Dates” shed 55%, a bit below par. It should reach $45 million, not really what it needed to make money. That the “Legend of Tarzan” seems to have eked out a narrow third place showing over “Dory” is another moral victory for Warners’ very expensive action film. Adult women seem to be keeping this alive, more impressive with the competition from “Ghostbusters.” It fell 47% and looks like it could reach $140 million domestic. Double that foreign (where it is rolling out slowly, now at $90 million) and Warners may have dodged a bullet. “The Purge: Election Year” continues to hold better than many genre films and will end up $15 million or more ahead of the first two entries. That’s a rarity this year. Expensive duds “Independence Day: Resurgence” and “The BFG” held on to Top Ten slots for their last weeks, but will end up not much ahead over $100 million and $50 million in their domestic hauls, far below what they needed.